Rock-solid efforts reveal your true grit and grace. This sport bra's for you. From yoga poses to beat-based workouts, it supports with resilience while Speedwick technology wicks moisture. 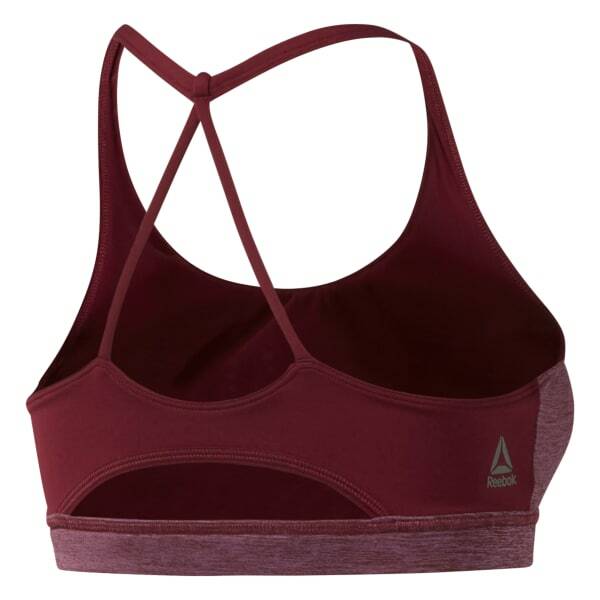 Stylish skinny straps and a triangle cutout shape on the back help give full mobility. A colorblocked V-neck dresses up the front.